Another one of my cool book-related jobs was when I worked in a used bookstore. I loved it. I was surrounded by books crammed into random heaps with no rhyme or reason. I got to help people hunt down that perfect book they were looking for. I got to lovingly organize, pack and ship wonderful books to people around the country. And once, I got to touch a book from 1792 that is (disputably) Jane Austen's first work in print. We took in a lot of books from people. "Here," they'd say, plopping down a box full of mildew-y books. "I found this in my garage. You guys can just take it." We'd take it, and at first, I was fascinated by the really old, leather-bound books. They must be worth so much! I would think, excitedly looking them up to price them. It didn't take long to learn that most nineteenth-century books were worth peanuts. So the day I found the magical book, I almost threw it away. The front leather cover had come completely off, and it was old-- 1792, it said. I reached toward the garbage box, but then sighed. My boss wouldn't be happy if I didn't at least check. 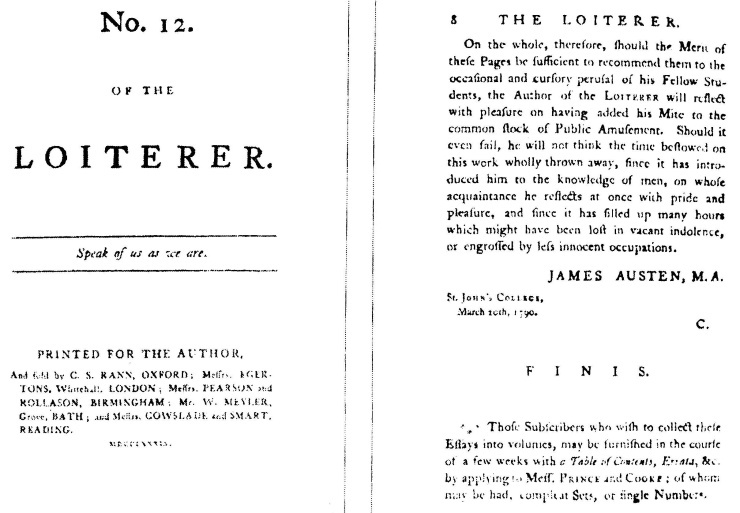 I entered the title: The Loiterer, a Periodical Work in Two Volumes. 1792. And the price that came up shocked me. It was worth over $3,000. "Jane Austen's two older brothers, James and Henry, published a periodical during their time at Oxford with 60 issues published in 1789- 90. After the final issue, James had the 60 issues bound into two volumes and published a limited number of copies. Their younger sister Jane was thirteen years old when the periodical was published. 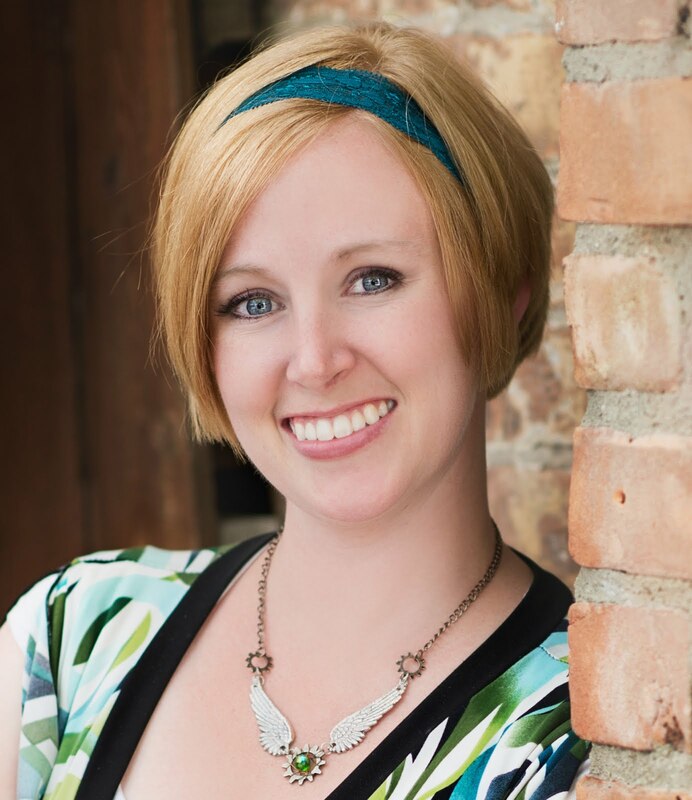 Although it has not been substantiated, many believe that she wrote a letter in the 9th issue under the name Sophia Sentiment." Practically giddy, I called my boss. He about fainted when I told him how much it was worth. As for me, I felt like I was clutching an object of holy writ. Jane Austen had (possibly) written a letter in this book. She might have even touched this very copy I was holding. I practically hyperventilated. Then, I opened to letter number 9 and read it. Twice. And almost regretted telling my boss about it and not just sneaking it home for my private collection. So, folks, time to share. What's one of your most memorable experiences with a book? I can't think of anything that memorable. Thanks for sharing it. Good thing you didn't throw it away. Unfortunately, when I was younger, I threw away some old books. Now I wonder how much they're worth. OMGosh! Are you serious. Jane Austen is my hero. So very, very cool! !